Remember the business card case shaped like a NES controller that came out in July? 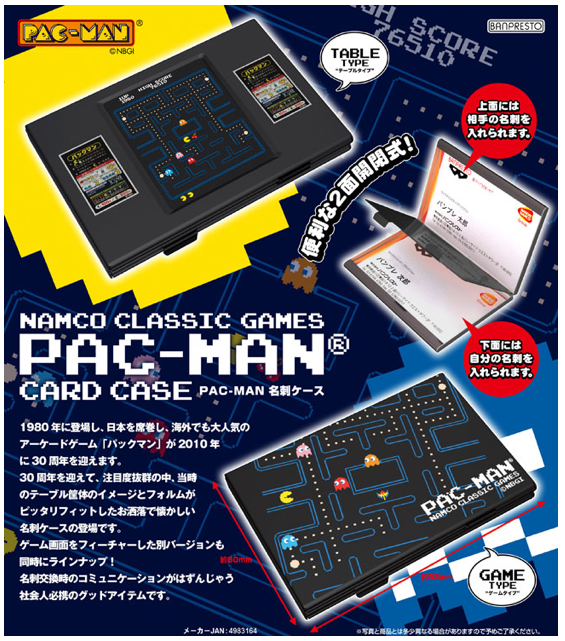 Well, that one wasn’t too bad, but this new Pac-Man card holder is way cooler. It’s available in Japan only from the end of November. But Geek Stuff 4 U already accepts pre-orders ($31.32 plus shipping).